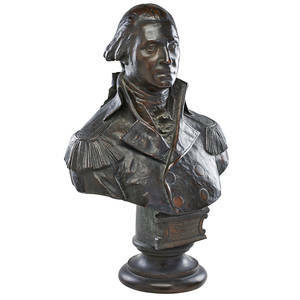 WILLIAM RUDOLPH ODONOVAN (American, 1844-1920); Bronze sculpture of George Washington; Stamped "from the statue of Washington at Newburgh, 1887 by William Rudolf O"Donovan"; Marked M.J. POWER FOUNDER N.Y.; 30"
William Matthew Prior (American 1806-1873) Portrait of George Washington. 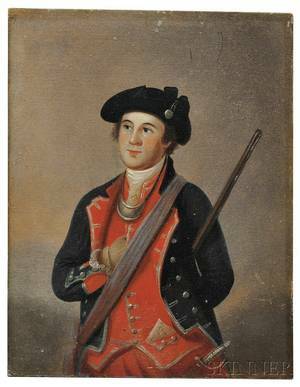 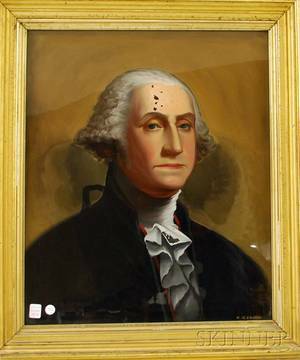 John Wood Dodge (American 1807-1893) Portrait of George Washington. 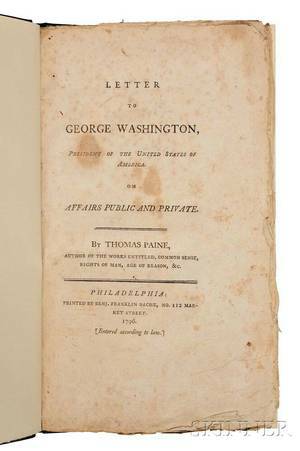 Paine Thomas (1737-1809) Letter to George Washington President of the United States of America on Affairs Public and Private. 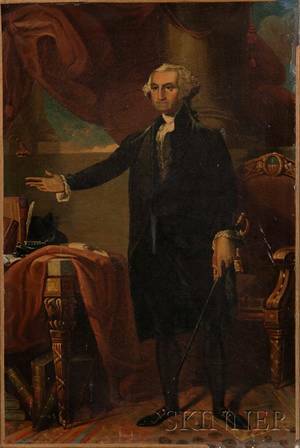 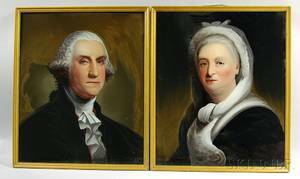 After Gilbert Stuart (American 1755-1828) Portrait of George Washington.